Some argue that Blockchain is where online was in the 1990’s – an established network made public for mass adoption. 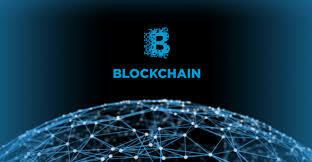 Others claim that they are already using Blockchain to help solve specific problems and of course, others argue that we are still in its stages of infancy, existing only within the realm of academia – theory versus practice. Wherever you believe it to be within the timeline of history, as an industry we need to roll up our sleeves to better understand: what it is, what it is not, and what it can be, in an effort to eliminate the fear of unknown while embracing the prospect of a new technology. IAB Canada’s newly established Blockchain Committee is meant to deconstruct, educate and empower. The committee will set out guidelines on what it is and is not, identify the key terms that you need to better understand and why, align Canadian efforts with that of the US, develop whitepapers on pilot learnings, bring in thought leaders on the subject from different areas of focus, as well as present a Business of Digital: Blockchain event for early 2019. All to guarantee that you are well informed.